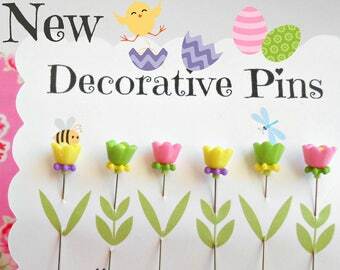 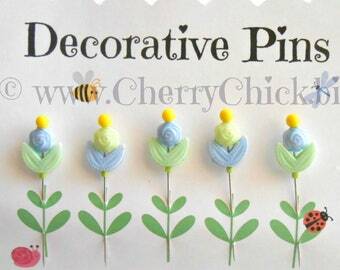 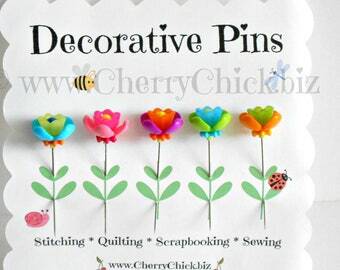 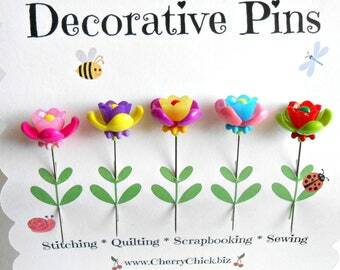 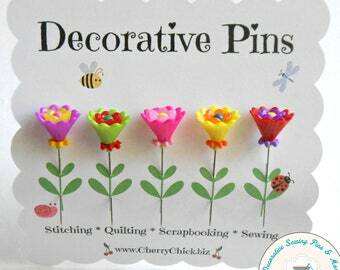 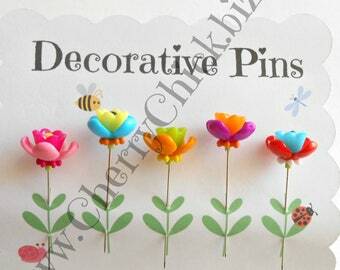 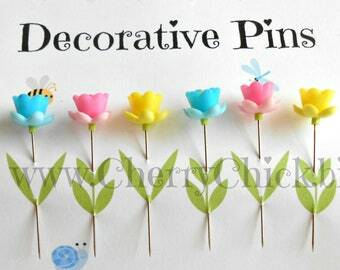 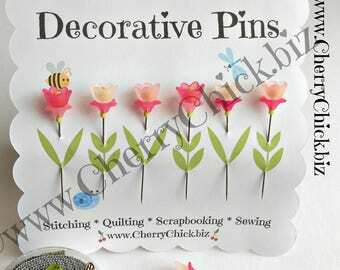 6 floral decorated pins in shades of pink, purple, aqua blue, green and yellow. 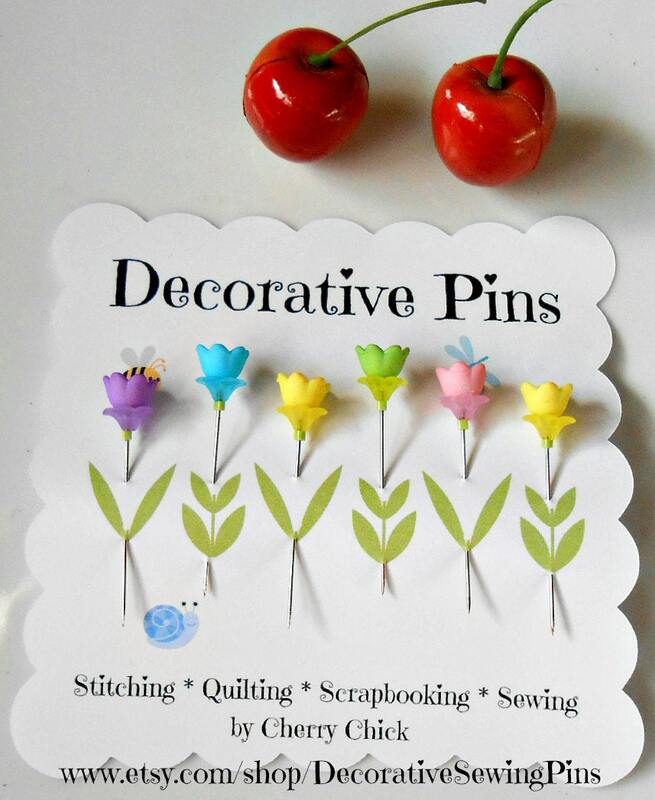 Thank for the super fast shipping! 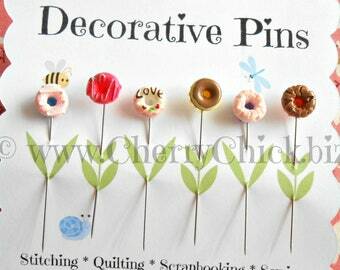 Really cute pins! 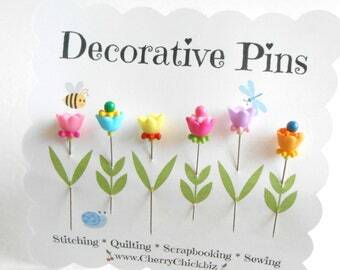 Adding them to knitted cactus pin cushions for my colleagues for the holidays.